Giveaways always make Mondays just a little bit more tolerable. 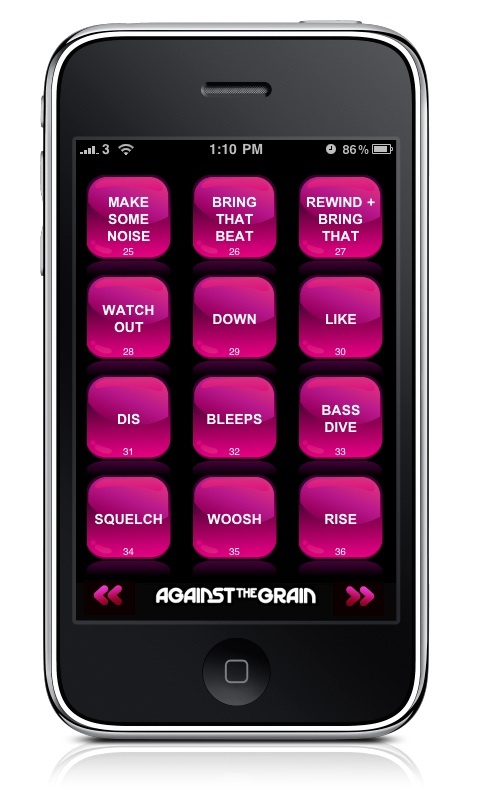 The DJ Krafty Kuts “Against The Grain” DJ Tools sound effects app comes equipped with over 100 pre-loaded samples, including MC shouts, classic dub sirens, bass drops, rises, and more noises to spice up your set. and many more useful noises to spice up your set. 1. Follow Crate Kings on Twitter. 2. Tweet us with the name of your favorite turntable. Entries must be received by Thursday, January 14th at 3pm EST. Visit iTunes for more complete details about the Against The Grain iPhone app.